"... (Buono's performance) here is simply outstanding: technically impeccable, tasteful and exciting (two qualities not often found together), imaginative and moving." Ricercha No. 34, "La Compagna"
Emanuele Buono, the winner of the 2013 Michele Pittaluga Guitar Competition, has established himself as one of the most highly regarded and active guitarists of his generation. This fascinating programme brings together music from Renaissance Italy, the golden age of the guitar in early 19th century Europe and modern classical sounds from 20th century Spain. 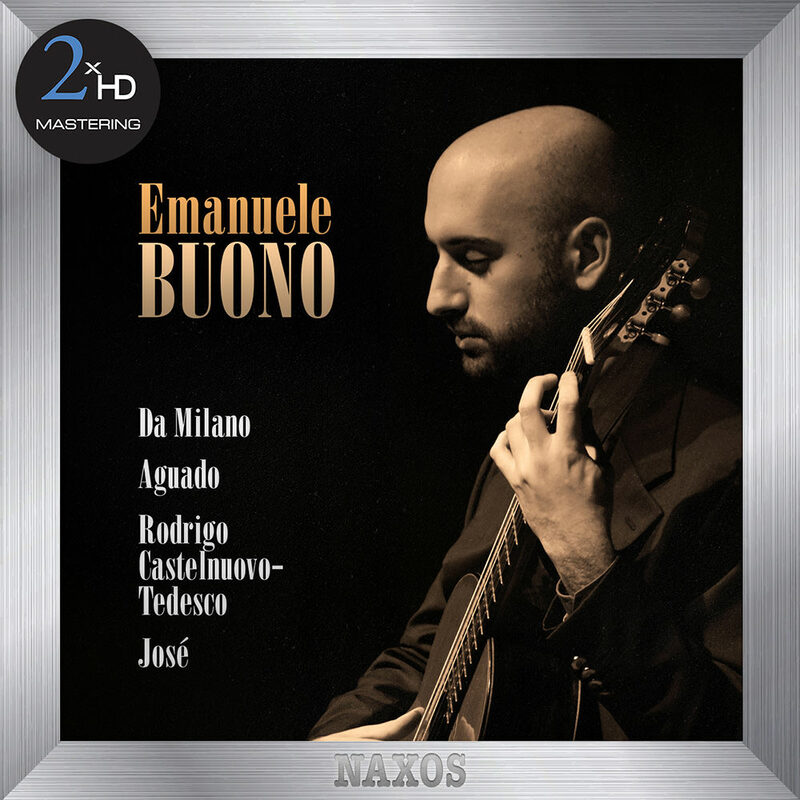 This album is part of the Naxos Guitar Laureate Series, boasting some 50 albums featuring competition winners who are today's leading guitar soloists.